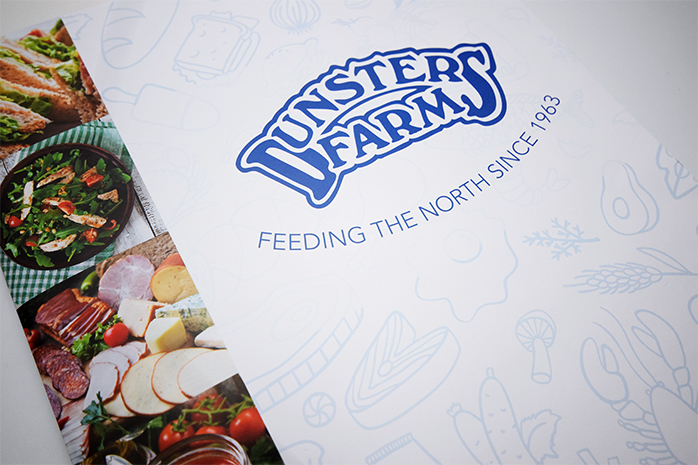 Dunsters Farm are a third generation family ran business that supply great food and drinks to organisations across the North of England. 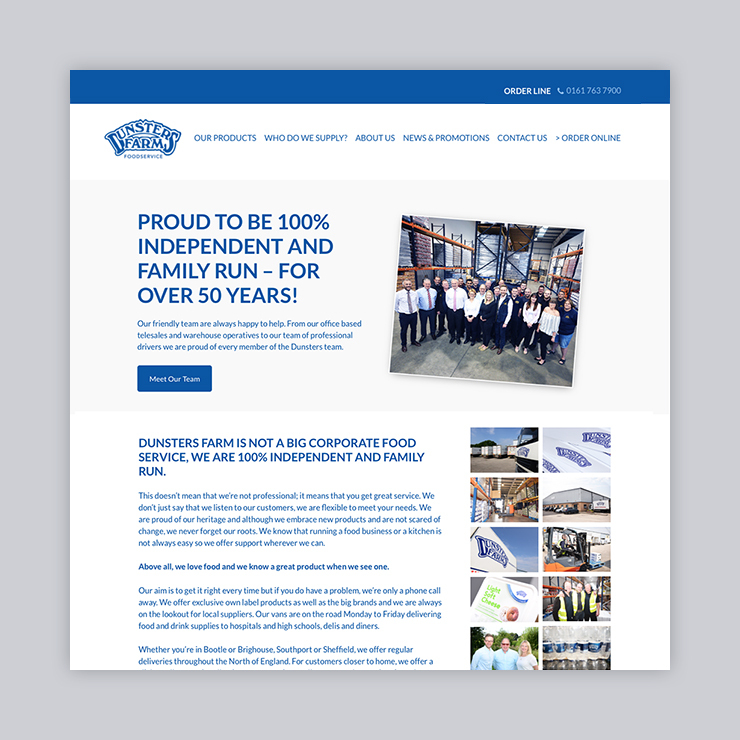 We’ve had the pleasure of working with them for nearly 10 years now! 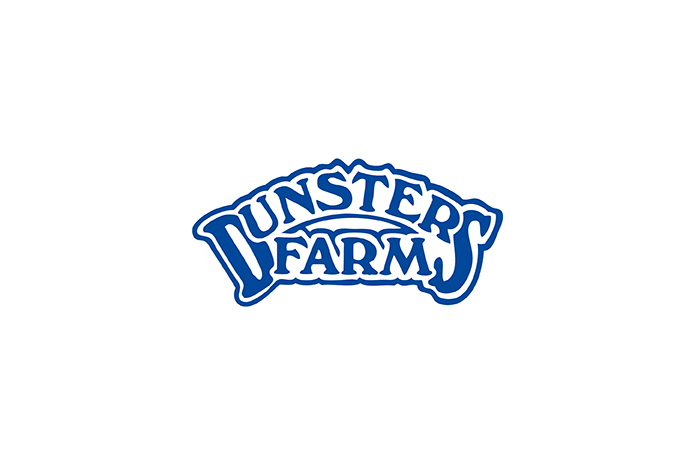 The vast product range offered by Dunsters Farm has one common thread – it is all exceptionally high quality! 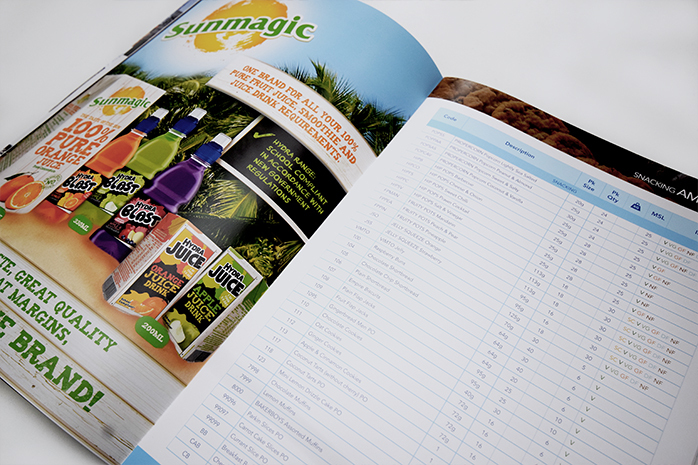 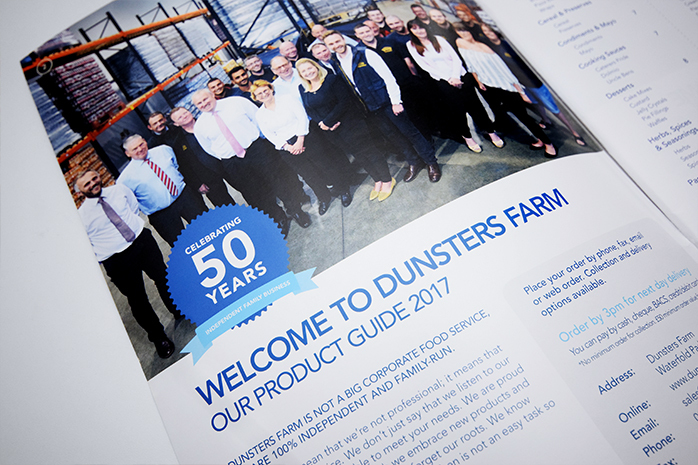 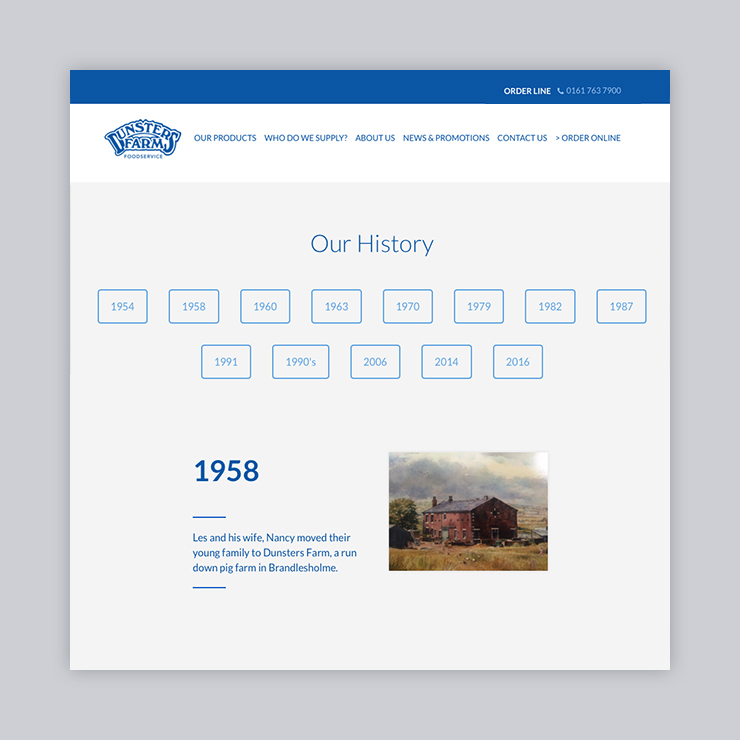 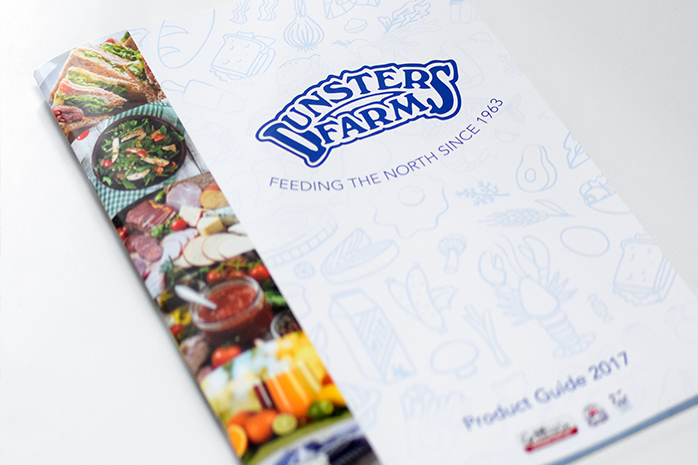 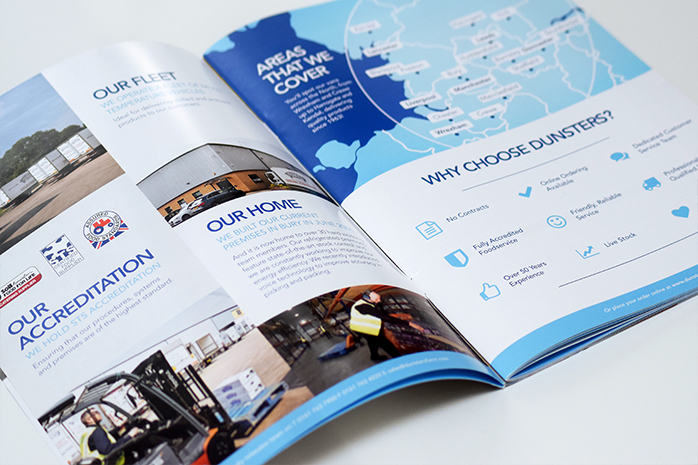 We were commissioned to produce a showcase brochure displaying the entire product range and presenting key facts about Dunsters. 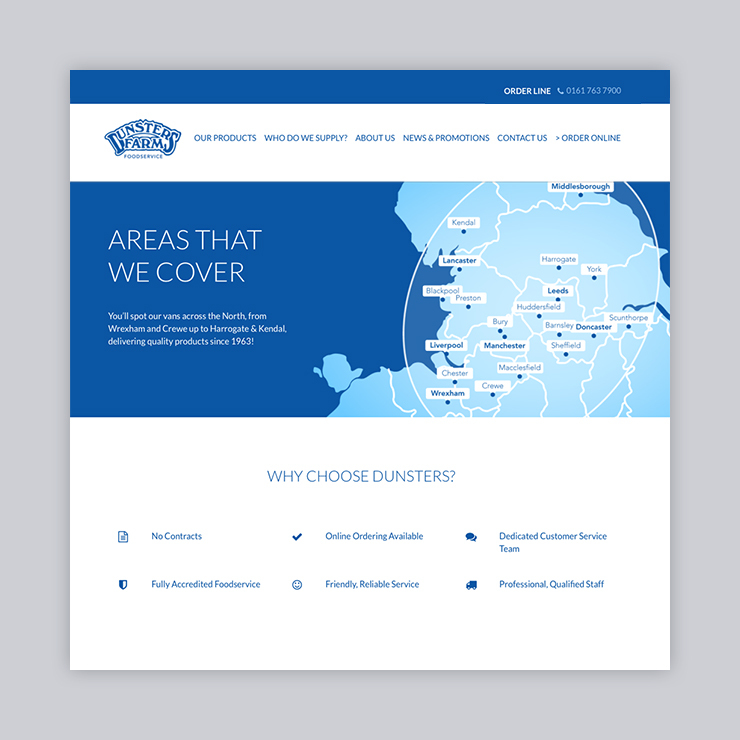 Alongside the new product guide we have also launched a new website for Dunsters. 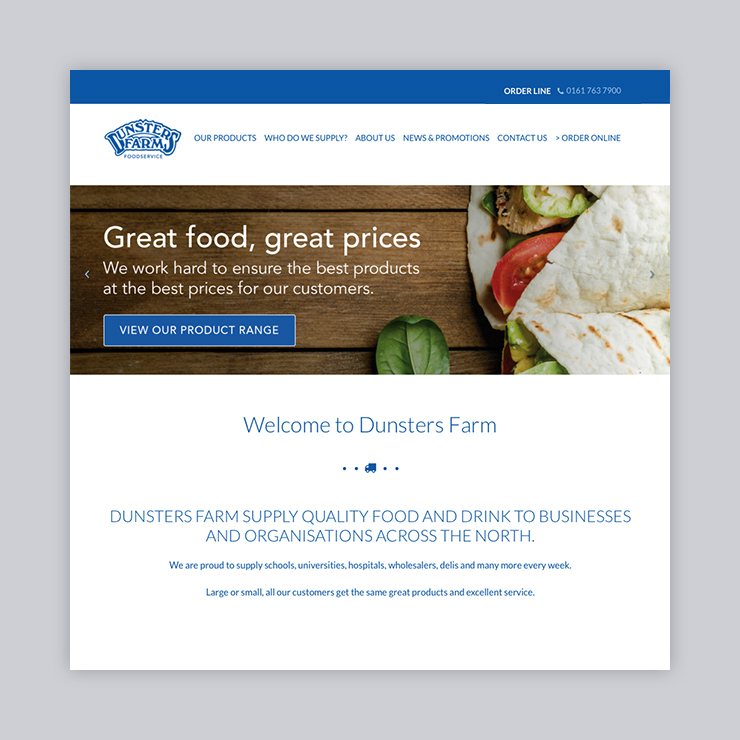 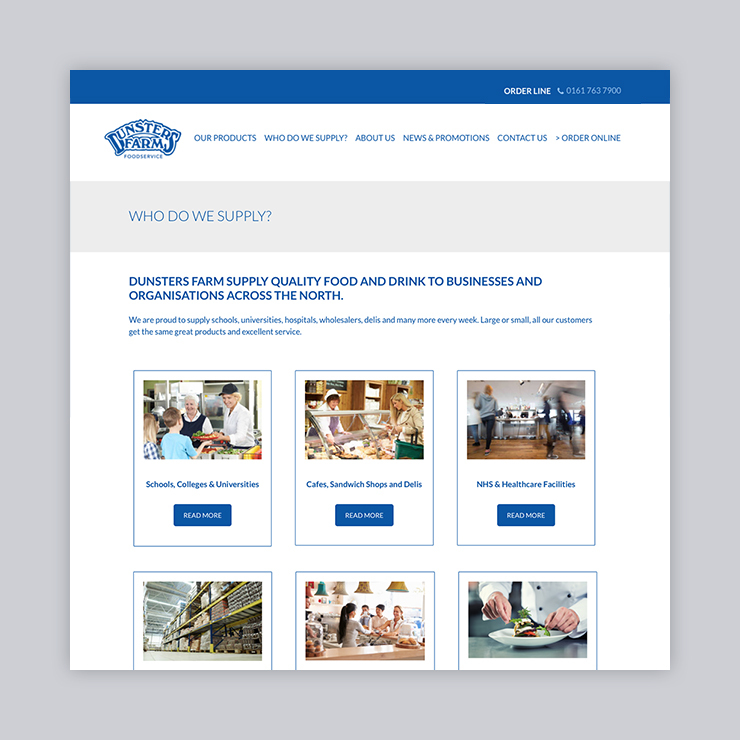 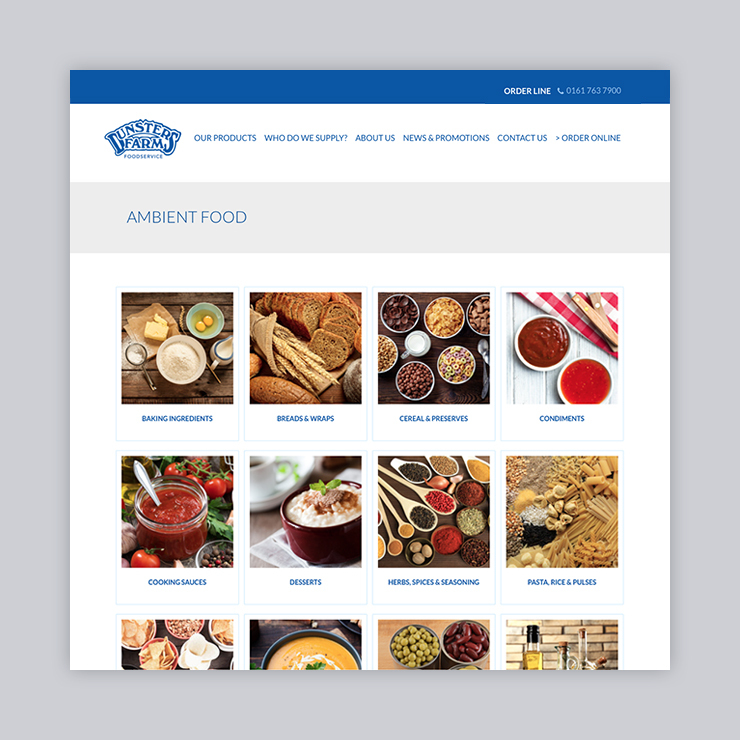 The site showcases their rich heritage alongside their plans for development, it is fully content managed allowing complete control for Dunsters to push out monthly news and offers. 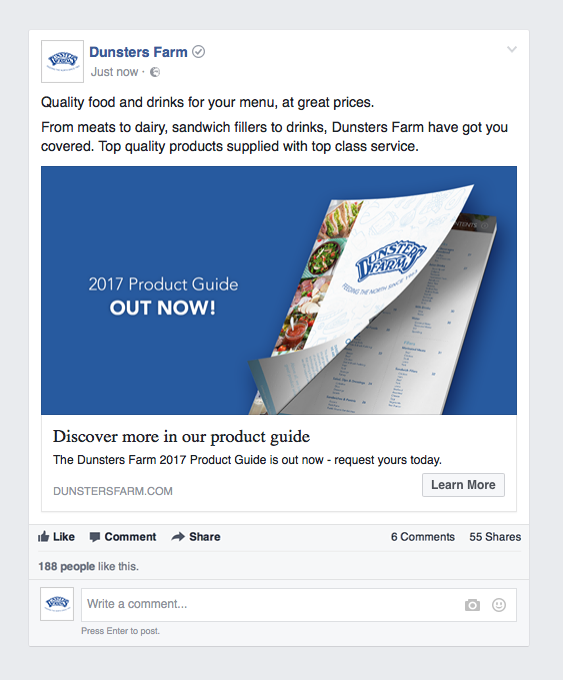 To drive new enquiries we have recently launched a Facebook lead generation campaign to capture data from people interested in Dunsters products, this ongoing campaign is being targeted at key geographical locations to expand Dunsters reach across the North of England.